Jay's Vermont Site Visit - "Everything Looks Good on Paper"
There is an old saying that "everything looks good on paper" and while that is often true, it generally leads to the reality that, often, the best way to truly coordinate a lighting design is to get everyone together on-site and work out the details. I had the opportunity to do just that this past weekend on a private residence in Vermont. The home is constructed of reclaimed barn timbers and planking and much of the lighting is nestled in and around the various junctions of these overhead beams. If this were modern milled timber, things would be much more straight forward, but being aged timbers and rough hewn beams, all measurements became approximate. The arrows indicate a cardboard marker! So to ensure that everyone was on the same page as far as luminaire placement, and to compensate for some of the changes and adjustments which have been made during the construction process, I spent a few hours with the electrical contractor, the general contractor, and the homeowners placing cardboard markers at all of the luminaire locations in the home. 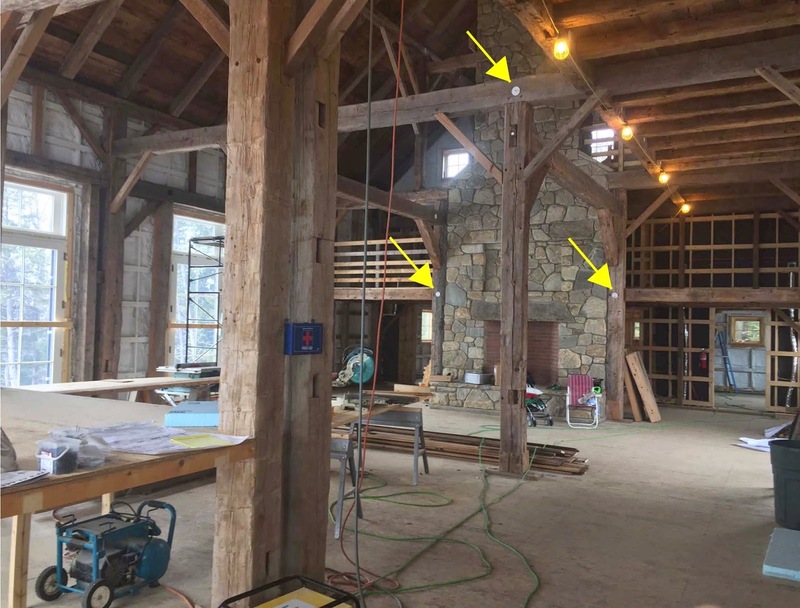 This allowed us to be sure everyone was happy with the luminaire placements prior to any of the electrical services being cut into the wooden beams. This kind of hands on collaboration is the kind of effort that we at Abernathy Lighting Design pride ourselves on. Sometimes, the best way to get it right is to go out into the field and get your boots dirty! 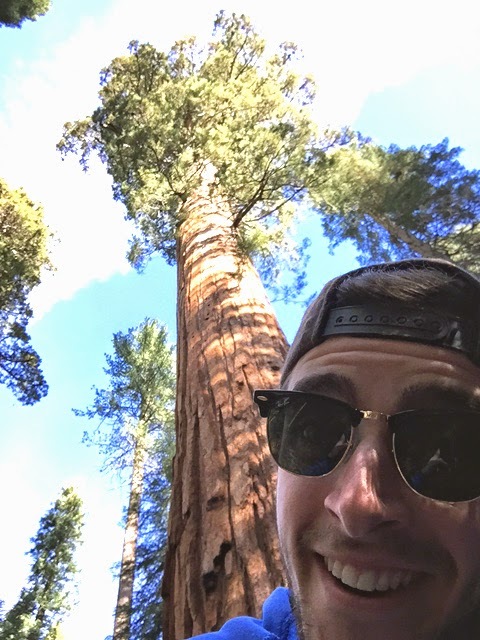 Adam Goes to BKU& Yosemite! 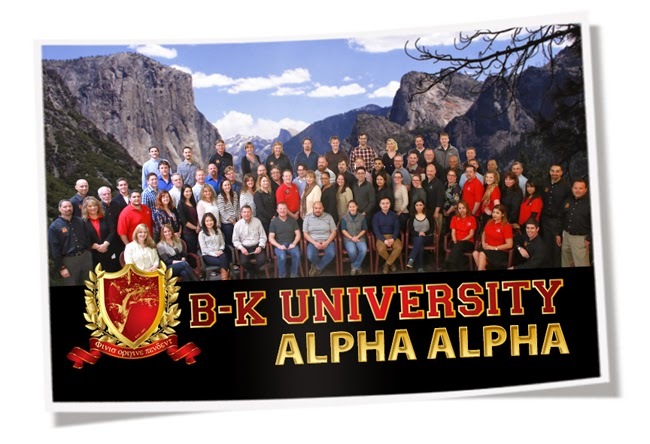 From March 12-March 15, 2015 I traveled to Central California to attend BK University. I spent a few days with the folks at BKLighting to see their operation in person. It was an amazing experience, where I met a lot of interesting people from around the United States and Canada. I have only been in lighting design for the past year and a half, but attending BKU has further advanced my understanding of lighting in all the ways that I hoped it would and then some. 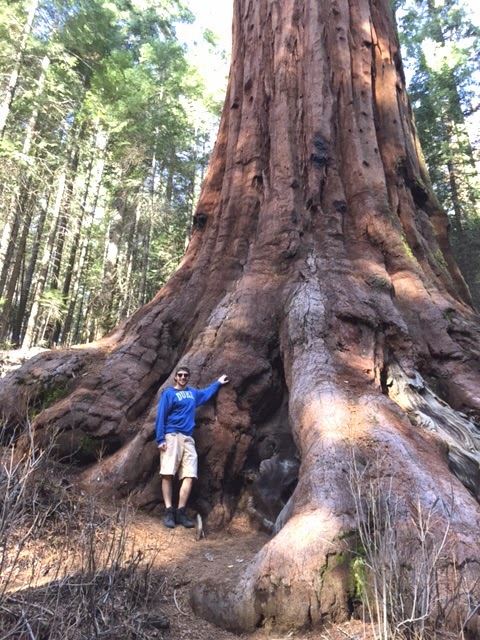 The attendees at BKU were also given a day to spend at Yosemite National Park, which was one of the events I was looking most forward to. I was able to see the great Yosemite Valley and all of its stunning features for the day, while on an Ansel Adams photography tour. I’m not sure if Ansel took many selfies back in his day, but I definitely took my fair share. A special thanks to the folks at BK Lighting and OmniLite in Boston for having me join them on this trip. Thank you for inviting me to enjoy this experience with you! 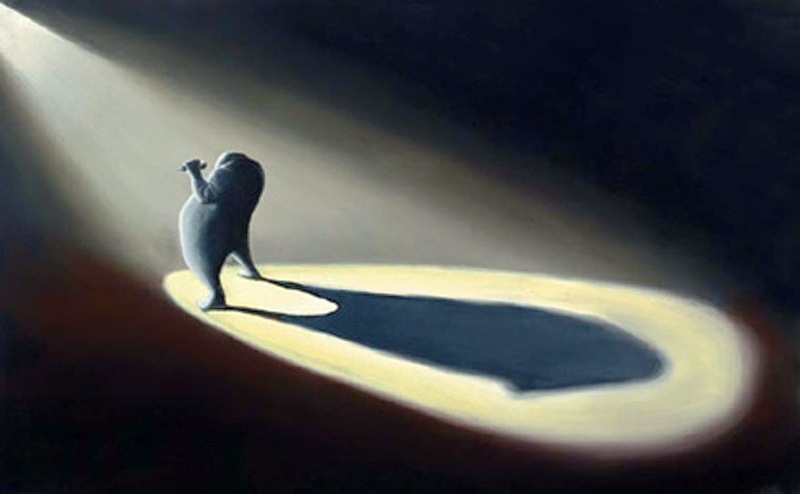 To conclude our "Finding Inspiration" series, we have a work from Jason's favorite artist. The piece is called "The Showman" by Nadeem Chugtai. The charcoal drawing is a prime example of how powerful light can be in provoking emotion, even when it's coming from just a single source. Jason admires how Chugtai can create a very simplified human form, set it in a very specific lighted environment, and have this simplicity evoke all the emotions the artist wants to convey. It is further evidence of the power of lighting in our lives. 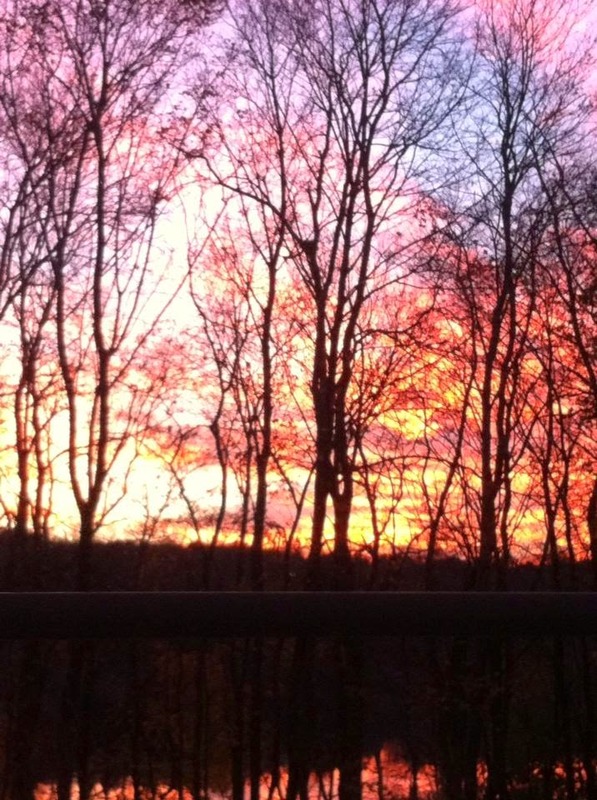 Nicki's favorite painter of light is Mother Nature herself. Whether it's a beautiful sunset or mysterious rays coming through the trees, nature provides us with plenty of lighting inspiration! ALD recently completed a mock up for the tower at 20 Washington Place in Providence, RI. On site mock ups are a vital part of the lighting design process. Unlike computer models and calculations, mock ups provide a real world illustration of how a particular luminaire will function in a particular environment. The purpose of this mock up was to test a couple of different LED manufacturers to see which would be best suited for this project. We also tested the idea of using two different color temperatures of light for the same tower - warm to light the interior and a cooler temperature for the exterior. 20 Washington Place is owned by the Rhode Island School of Design (RISD) and we are working on the project in conjunction with them and Haynes/DeBoer Architects + Planning. Keep your eyes out for this project to be completed later this calendar year!